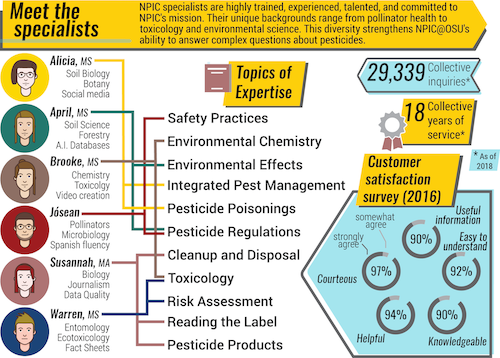 NPIC provides objective, science-based information about pesticides and pesticide-related topics to enable people to make informed decisions about pesticides and their use. NPIC is a cooperative agreement between Oregon State University and the U.S. Environmental Protection Agency. To conduct our service professionally, with an emphasis on teamwork, integrity and accountability, and a strong commitment to collaboration and exceptional customer service. NPIC produces many types of publications including research papers, frequently asked questions, annual reports, outreach materials, podcasts and other resources available to the public. Click here to see a complete list of publications. NPIC can assist people in over 240 different languages through the use of an over-the-phone language service with staff trained in medical and scientific terminology. 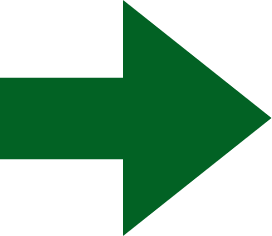 This same service is used by numerous poison control centers across the United States.